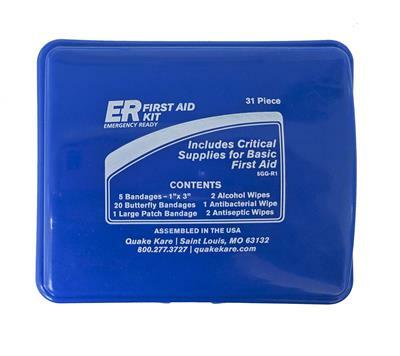 A personal ER™ EMERGENCY READY First Aid Kit containing 31 pieces of first aid supplies. Small, compact size for storage in your car, backpack or purse. 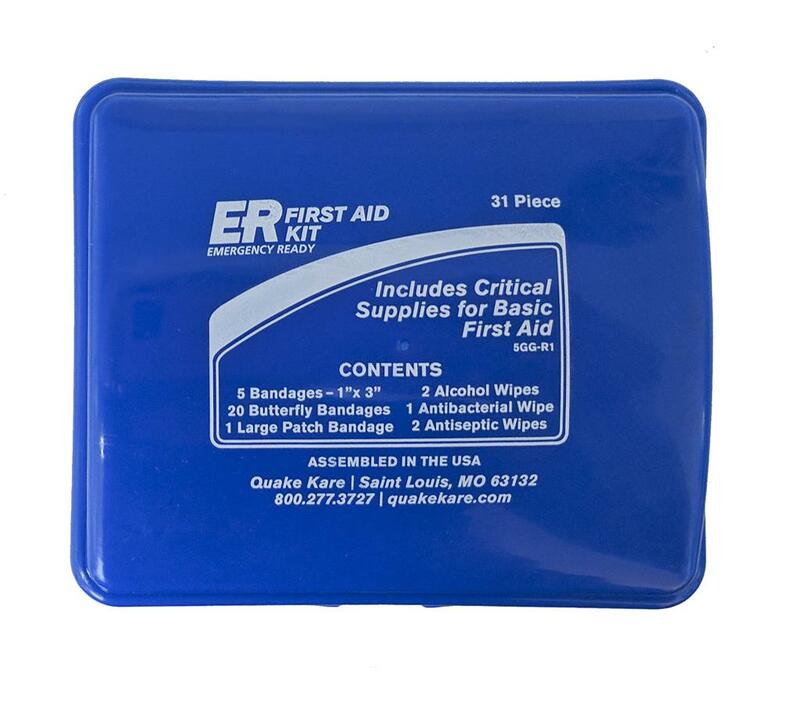 (5) Bandages 1" x 3"
The ER™ Personal First Aid Kit contains essential items to help you be prepared for minor injuries. Includes basic supplies to clean, treat & protect cuts and scrapes. Organized for quick & easy access. Convenient size! Easy to keep handy everywhere! This personal first aid kit is a great refill for your family first aid kit or as an on-the-go kit for the car or office. BE PREPARED away from home with this convenient size kit that fits anywhere! What makes ER™ First Aid Kits unique? Most people don't realize that certain items contained in first aid kits expire every few years and need to be replaced. But why replace the whole kit when only a few items need to be replenished? That is why we have designed the ER™ Easy Replacement First Aid Packs to save you time and money when restocking your emergency first aid kit. Simply purchase a replacement pack every 4-5 years to replace the expired items first aid supplies in your kit.